Originally designed as a more compact power supply for our 10 MHz DDS Function Generator the PCB can also be used with different modules for other applications. It seems that to get your feet wet in the ocean of DSP you seem to need lots of SMD soldering skills and also a lot of math. Well, not any more. Here is a Universal Audio DSP board for the DIYer. Based on the Analog Devices ADAU1701, this board has only through-hole components (except for the ADAU1701 itself)! Although this SO8-to-DIP8 adapter is specifically designed for a single or dual opamp, it can also be used for any other IC in a standard SO8 package. 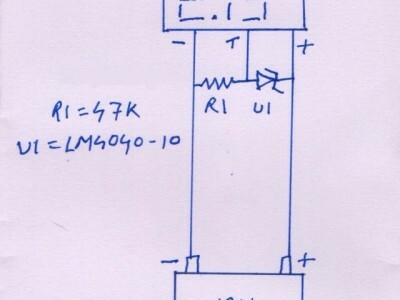 A PWM output controls the logic FET BUK101-50 (or IRLIZ44N). 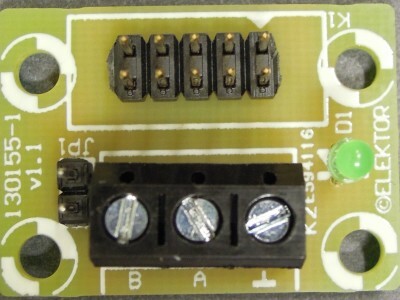 This FET switches the discharge current through 2 resistors. 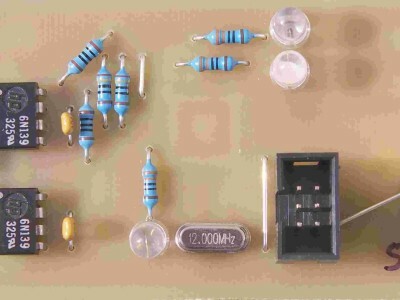 A 0.1 ohms resistor is used for the current measurement. 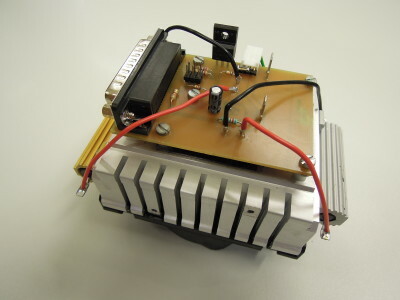 This is a single PCB 200 W Class-D Audio Power Amplifier fully designed with through hole components (external symmetrical power supply is needed). 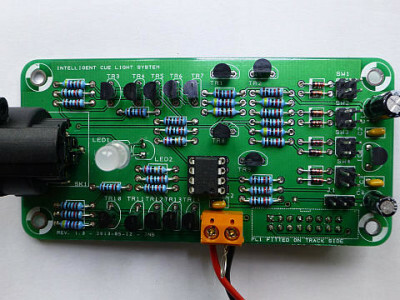 This is a small RGB LED lamp which can be controlled with an infrared remote controller. Its diameter is 57 mm. 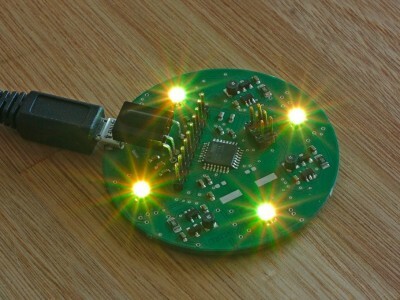 It uses 4 Osram multiled LEDs which are connected in series for each color. For power supply a simple 5 V USB power supply with a micro USB connector can be used. 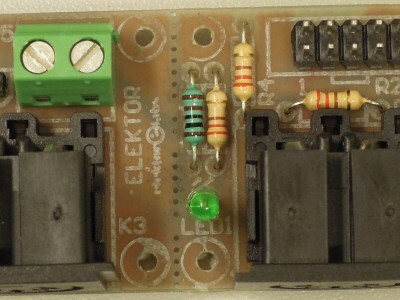 Due to the series connection of the LEDs a boost converter is required for each color. 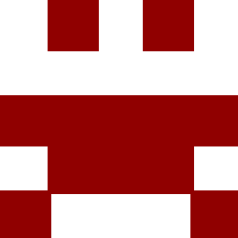 Experimenting with MicroPython - build a simple webserver. Nothing fancy, just enough to get it going and to improve upon. Tipped off by my friend Gregory I recently bought an LED panel with 32x64 two-color pixels (that is a total of 4096 LEDs!, ref. DE-DP100 from Sure Electronics). 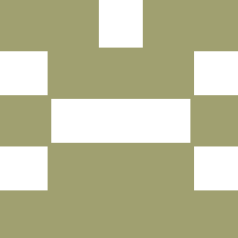 I wanted to make some sort of message board out of it, but I was not sure what would be the easiest way. This is about a Bluetooth data-acquisition system for hang gliders (and ultralight aircrafts). The author is a hang gliding amateur and would like to display flight data on his Android device. Unfortunately the author does not have the skills to design such a device, but he can provide the specifications. He is also willing to write the software. 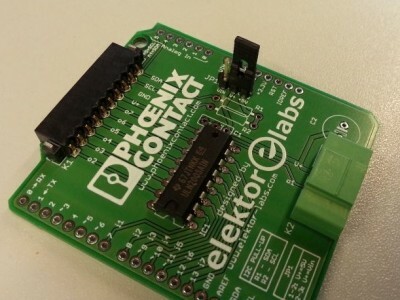 The Elektor Home Control is a home automation system that works through your existing ethernet network.All the modules run on a pic microcontroller, running the microchip TCP/IP stack. 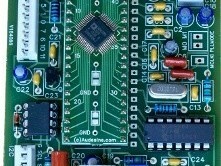 Every module is connected to a beagleboard, which doubles as a server and user interface. 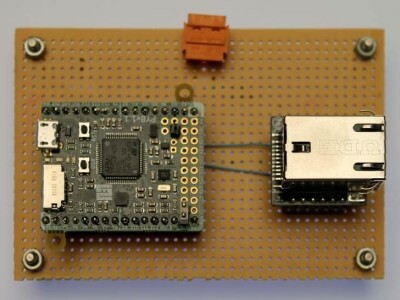 The beagleboard runs a modified version of Ubuntu Linux, on which python and pygtk provide the interface. This little idea came about when I was thinking about an accurate way to constantly measure the voltage of each battery in my solar battery bank. A lead acid battery's voltage remains fairly constant as it discharges. As the attached chart indicates, a no-load voltage of 12.6 volts means 100% charge but 12.2 volts means you're down to 60%. This little circuit makes it possible to send data from the Embedded Communications Connector over a RS485 link. 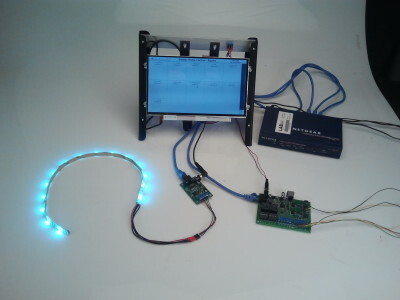 It only uses one small IC, a led, a few passive components and two connectors. 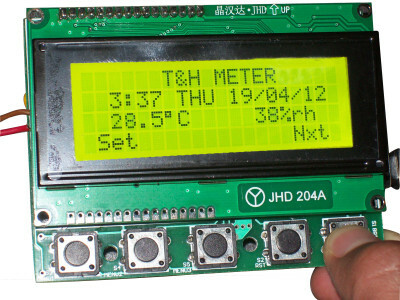 Digital thermometer or thermostat projects have been around for many years. 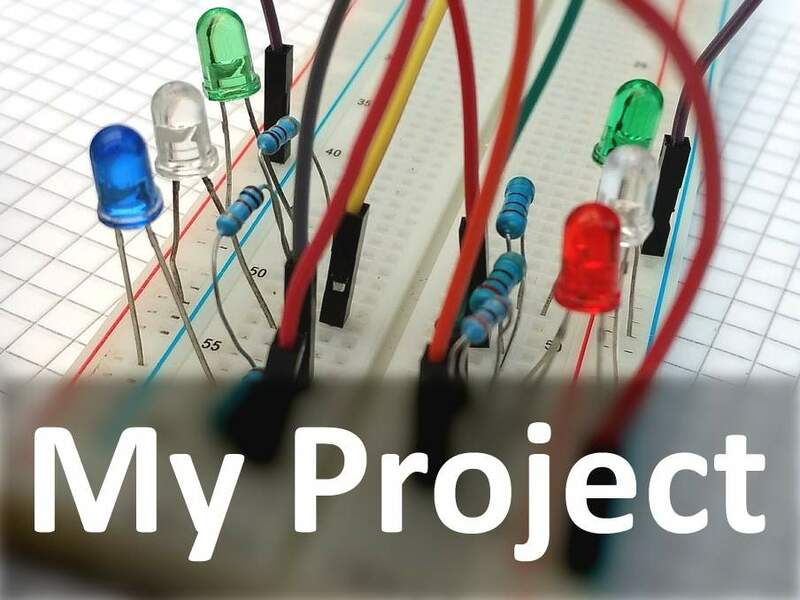 This project, in order to be appealing in such explored subject, incorporates a number of interesting features, never put together in one single circuit and, some of them, only available on professional equipment. I needed a tacho/RPM display for a CNC spindle. I decided to use an Arduino Micro and OLED display with a reflective LED/Photo transistor as a sensor. Since powering up, a clock can display the total running time of the machine. (or this can be reset via a push button. 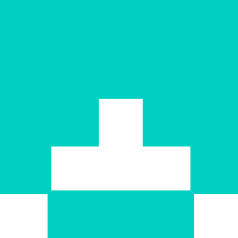 )I completed the first version and its working well! Simple Arduino shield with a ULN2003 and some connectors. The I2C port is also brought out on the main connector K1. The project is a complete cuelight system for theatres and other event venues. It comprises a modular channel board utilising a bus system for control and a simple remote board for each out-station. The channel board will accept signals from "Standby" and "Go" buttons and a "Ready" button on the remote out-station.